I'm not usually inspired to accept such an invitation because I always assume an inverse relationship between the advertising budget of the company and the quality of the product. But since I'm making a big deal about this, I will hold judgement and see the product in Booth #917 on April 18th at 8:45. After I see it I'll report back here with a review. Here are some other technology oriented exhibitors I plan to visit during my stay in Denver. A lot of old friends and hopefully I'll make some new ones as well. Key Curriclum Press now has a new home in McGraw Hill country. AT&LT #637 develops 3D math video games. Their current product is the Lost Function: A Math Adventure game. New to me. Big Brainz #1516 Timez Attack is their big hit product. 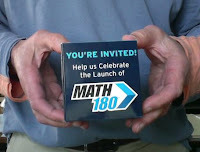 Buzzmath #1140 Their mission is to lead middle school students to proficiency in math through suppported practice. Math Forum - #741 For more than 20 years providing resources to help teachers improve their mathematics teaching and learning. Long time friends of CLIME. Carnegie Learning #1820 is a leading publisher of innovative, research-based math curricula for middle school, high school, and postsecondary students. Calculus in Motion #1131 - Software. Also CDs with tons of Sketchpad applications. Conceptua Math #823 - teaching and learning everything about fractions is the goal of their software. Desmos Inc. #916 - Online calculator company. One of the co-hosts of Dan Meyer's and Karim Ani's happy hour on Thursday. Dreambox Learning #1222 - Lot's of positive buzz about their products. I need to take a closer look. GeoGebra #1433 - Sketchpad's competitor. Can't beat the price. Explore Learning #1823 - Always give them a positive review for their excellent applets (Gizmos) and sometimes even their support material. See their equivalent fraction Gizmo. 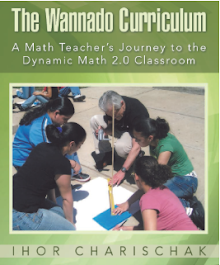 How the Market Works #719 - Great way to bring real world math into the classroom. Hooda Math #1538 - new to me. Mind Research Institute #331 - Adventures with Jiji. Saltire Software #330 - Some really cool software. 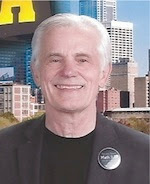 If you are speaking on a technology themed topic in Denver please check for your listing here. If you would like to add or change anything to your listing please let me know via email at ihor@clime.org or twitter @climeguy.